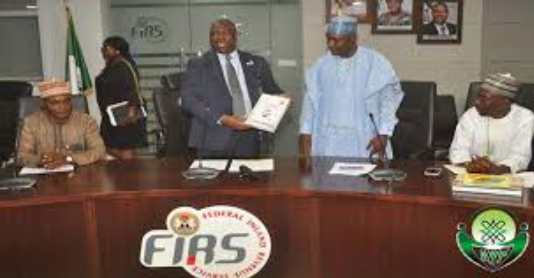 Nine senior officials of the Federal Inland Revenue Service (FIRS) are currently in detention over alleged multi-billion naira fraud in the huge money-making agency. The top officials, who are being detained by the anti-graft agency (EFCC) in Abuja, include the Director of Finance and Accounts (DFA) of the FIRS, Mohammed Auta. Apart from Auta, another director, Peter Hena, is also alleged to be involved in the scandal. Mr Hena, the Coordinating Director, Support Services Group of the FIRS, is currently out of Nigeria and will be arrested as soon as he returns to the country, EFCC sources told Premium Times. A top official of the FIRS, however, said Mr Hena is on official medical leave outside the country and did not flee. Mr Hena is believed to be one of the closest officials to the FIRS chairman, Babatunde Fowler. It is still unclear to EFCC officials, whether or not Mr Fowler is involved in the scandal. PT has no evidence of the involvement of the FIRS chief. Most of the other affected officials are from the finance and account department of the FIRS. 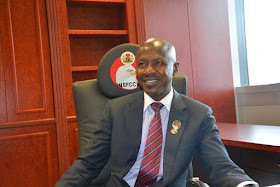 All the officials have been in the EFCC detention since April 1. The FIRS is saddled with collecting taxes and revenues of the federal government, of Trillions of Naira.